IOTA is still a very young cryptocurrency but stands out against other cryptocurrencies. There are many reasons for this, which in sum can pave the way for a global standard. What does a global standard mean? Those who have not worked so intensively with IOTA will find many answers in this article. We have read it many times that in the next few years many billions of devices will communicate with each other and exchange cash flows. · Automotive: In addition to the predicted 250 million networked cars on the roads in 2020, 75 percent of all new cars produced will have Internet connectivity. The number of sensors on a car will double from currently 60 to 100 to 200. · Smart City: Whether as Smart City, Smart Lighting, Smart Disposal or similar, in the field of infrastructure is basically about the integration of sensor data with information from the networked infrastructure and other, often external, data sources, such as weather or traffic data. · Energy: Many of the large power plants will probably have more or less only a backup function in the future. Countless small wind and photovoltaic systems will provide the required power more and more, but they need to work together optimally and share their data with each other. This will make the energy transition the largest IT project of all time and will only be successful in combination with digitization. Therefore payment flows must be able to be pushed back and forth quickly and reliably in such a system, with a huge data transfer. In the future, millions of producers and consumers will need to communicate in real time, sharing not only information but also digital values. · Health: For example one of the key measures for successful treatment of chronic diseases is the frequent monitoring of the most important health values ​​of a patient. The problem is that increased visits to hospitals or test centers will affect the patient’s everyday life and increase the cost of treatment. This is where IoT solutions come in. A chronically ill patient could be equipped with multiple networked IoT devices. · Customer Service: IoT-enabled applications and products have integrated analytics capabilities that help businesses and organizations understand how their customers can use their products and quickly integrate paid services. This allows companies to quickly respond to current issues, integrate new or additional features into their products, and ultimately positively impact the customer experience. The IOTA Foundation is made up of dedicated and talented individuals who have a proven track record and are diligently completing tasks. The Foundation is the de facto public organization behind IOTA. In recent months, the Foundation has received a lot of high-profile growth. IOTA is focusing on long-term innovation, stability and improvement instead of being a pure speculative object. With a global community of developers, entrepreneurs, corporate executives, government officials, philanthropists, hobbyists, general contributors to the IOTA project, the IOTA Ecosystem is a platform to meet, collaborate, learn, inspire, develop and build. The IOTA Foundation is testing a digital marketplace for the sensor data of Internet of Things (IoT) devices. The participants of the project include more than 50 well-known companies. The marketplace should allow users to sell sensor data and buy. According to a McKinsey study referred to in the announcement by the IOTA Foundation, only 1 percent of data generated by IoT devices is currently being used, with 99 percent unused. The marketplace should therefore make it possible to make this unused data easily accessible to others. IOTA has a very strong community that has made the Foundation and Ecosystem possible. This community is experienced as the real support and help of the IOTA Foundation and the entire IOTA system. There is a very great willingness to help IOTA interested people. The IOTA Evangelist Network is a unique global network of IOTA enthusiasts. 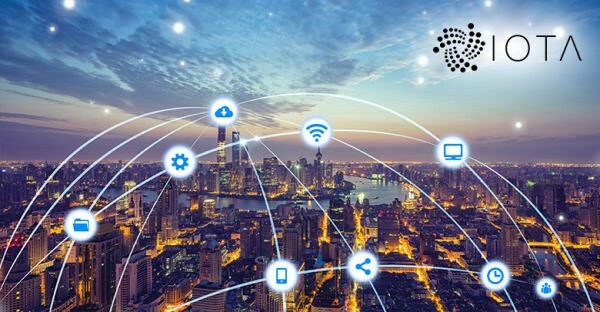 IOTA evangelists are people who who want to build a critical mass of support for IOTA technology, and subsequently establish IOTA as a technical standard within the global market. It’s a really unique strong global network. In addition to the IOTA community, a number of independent supporters have emerged who spend a lot of time on the ideas and visions behind IOTA. Noteworthy in this context are, among others, The Tangler, public IOTA, Everything tangle and of course a multitude of others. These backers are the backbone of IOTA outside the Foundation and community. Compared to other cryptocurrencies and platforms, IOTA is already working with and partnering with a variety of companies. Among the IOTA partners include: Fujitsu, VW, Bosch, The UN (UNOPS), DNB, MOBI, ICT, Taipei, DXC, Schindler Group, Kontakt_io, InnoEnergy, Grandcentrix, Biilabs, Lattice80 and Sopra Steria. Secured with these partnerships IOTA has a wide distribution and practicality. Smart Contracts Similar to Ethereum, IOTA will have smart contracts with the Qubic release. However, the functionalities should be superior to those of Ethereum. 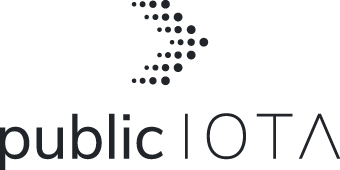 OraclesAlso Oracles will become part of the IOTA network as part of Qubic. Oracles allow access to external data within the IOTA network. For example, temperature data from sensors in the IOTA network can be made available. It is conceivable that everyone can access the data via micropayments. But other data sources, such as stock prices or election results, could be made available in the IOTA network. Outsourcing of computing power With Qubic, it will be possible to outsource very computationally intensive computations to different computers. This has the particular advantage that IoT devices can be built very cheap. Because for complex calculations, the calculations can easily be outsourced over the Qubic network. So the devices can handle a minimum of computational power. IOTA is quantum proof because it uses cryptography that even quaternary computers can not break. This is called Post-Quantum Crypto. IOTA uses the Winternitz one-time signature procedure. Thus, IOTA is well prepared for the future. These are a few points that make IOTA a superstar. Equipped with this kit, IOTA can steadily become more important in the coming months and years and can make its way to the global standard protocol for many billions of applications. I am confident that IOTA is on a very good path here.